The Legal Matters | Pop That Goes Crunch! The release of the follow-up by a band responsible for the single best long-player in a prior year is cause for great expectation. Even if the prior album ascended to a career-best apex that could never again be approached, the follow-up would at least be “very good” barring unforeseen circumstances. Not to worry in the case of The Legal Matters, however. The band’s new album, Conrad, is at least as good as their self-titled debut, which captured the top slot on my year-end list of the finest albums of 2014. Time will tell if it is even better than the freshman effort. That Conrad is something special is apparent from the first few seconds of the lead track, “Anything,” whose simple, comforting guitar intro announces immediately that you are in very good hands. The layered vocal harmonies that kick in first at the infectious chorus of “Anything” — and which appear in ways expected and unexpected throughout Conrad — serve as separate instruments that augment the superb musicianship that characterizes the entire album. This attention to detail, particularly as it generates unexpected twists and turns, shines throughout Conrad. The next track, “I’m Sorry Love” builds drama and tension for its first three-quarters of a minute, only to cut the impending doom with a playful, almost music hall-like break. “Minor Key” continues the yin-yang, promising darkness by title but delivering brightness by sound. 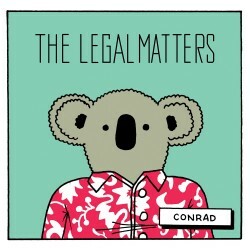 Although Conrad plays largely in the mid-tempo playground — about which there is absolutely nothing wrong — the band does cut it loose on occasion. “Short-Term Memory” is nearly three-minutes of riffs and harmony, accented by a tasty guitar solo. “She Called Me To Say” is quite sneaky — structured acoustically and sung by Andy Reed with his characteristically sweet vocals before deciding its really a crunchy guitar rocker. In the end, its these unexpected things that make Conrad so endearing and relentlessly interesting. “Lull And Bye,” the tenth song in the set, is but a minute of gorgeous harmonizing and a simple piano. Its totally out of left field, and absolutely brilliant. Conrad does not know a bum note over its thirty-five or so minutes. There is no wasted space, no needless repetition, just eleven songs that use the time allotted to deliver sonic truth. It hits retail October 28, with all formats — CD, LP, download — available from Omnivore Records. The LP even comes with a bonus download of a vocal-only mix of all eleven songs. Avail yourself of that. Nobody will release better vocals this year. Some albums grab you immediately and refuse to let go. You wake up, and one of its songs is in your mind. You’re at work, and another one is seemingly in your ear. You’re making dinner, and yet another one is bouncing around relentlessly in your head. And so on, and so on and so on. 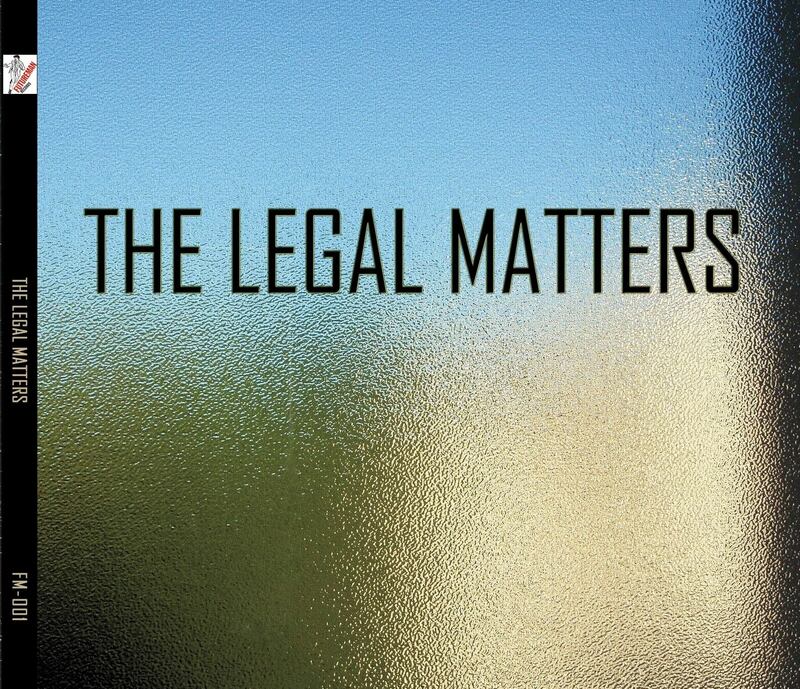 The self-titled debut by The Legal Matters is one of those records. The Legal Matters is a “rockin’ pop project containing equal parts Chris Richards, Andy Reed and Keith Klingensmith,” each of whom has been discussed many times previously on these pages. Given that life’s too short to write about bad music (or even mediocre music, for that matter), it is hardly surprising that I would at least “like” this “rocking’ pop” effort. That, however, is quite an understatement. The whole of this combination is greater than the sum of its three “equal parts.” The Legal Matters is the best long-player I have heard so far this year. It is hard to imagine anything coming out in the second-half of the year to eclipse it. Indeed, several songs on the album adroitly play the bitter against the sweet. “So Long Sunny Days” hides its own sense of longing and melancholy in three-minutes of absolutely perfect melodies. “Mary Anne” is probably the prettiest song about a life full of regret that you will hear this year. Delivering “only” ten songs over thirty-five minutes, The Legal Matters recalls a time when the space limitations of vinyl meant that truly great artists only waxed their best ideas. There is no fluff here, and not a moment of time is wasted from start to finish. So, run, don’t walk, to wherever you go to buy the finest music, and get The Legal Matters as soon as you can.